800hp 1969 Anvil Mustang on the Willow Springs Raceway! 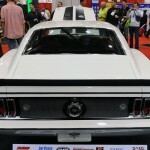 We first spotted the 1969 Anvil Mustang at the SEMA Show, last year. Since then, we were desperately searching for this beast and finally we found it. Plus, we have all the details about the specs. So, the carbon front spoiler to the rear panel extensions as well as the custom-built 520 cubic inch aluminum V8, the Ford 9-inch rear end, the 6-speed transmission and the cantilever suspension system, are the ones that left us breathless. Anvil told us about his plans to really drive this Mustang`s wheels off after the show. Though it wasn`t designed especially for racing, with 800 hps, we thing it can manage quite well down the road. 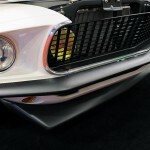 Finally, check out the new teasing photo for the 2020 Stang! For more information, checkout this video!